The haunting majesty of Woongi’s experimental art-rock beckons softly, like an invitation to become lost. Synth-soaked songs are meticulously designed to provide an escape from anxiety into a warm assemblage of musical fantasy and pop-cultural iconography. While the music is whimsical and surreal, it is also imbued with an absurdist sense of familiarity. The sounds and accompanying visuals are littered with cultural paraphernalia. Relics like the warm sounds of 80s movie soundtracks, lost eras of Japanese pop, or the imperfect transition to digital technology, for example, playfully influence an aesthetic of high-minded art-rock into a kind of uncanny valley of nostalgia. Woongi amusingly blurs the line between serious and tongue-in-cheek, and leaves the listener to explore a beautiful tapestry of music for all of its hidden meaning and irony. Woongi is made up of Wavid Wurtin (vocals, keys), Watt Wavis (bass, keys), Wax Weckman (lead bass), and Wencer Wein (drums). They formed as a live ensemble in 2015 to play Black Trumpets, the first Woongi EP written as a solo effort by Wurtin. Woongi put their newfound chemistry to work and released the follow-up LP Music for Prophet in 2017. Later that year, while helping his parents move from Kansas to Northern Washington, Wurtin was overcome with inspiration by long drives through the wide-open landscapes of Wyoming and Montana. 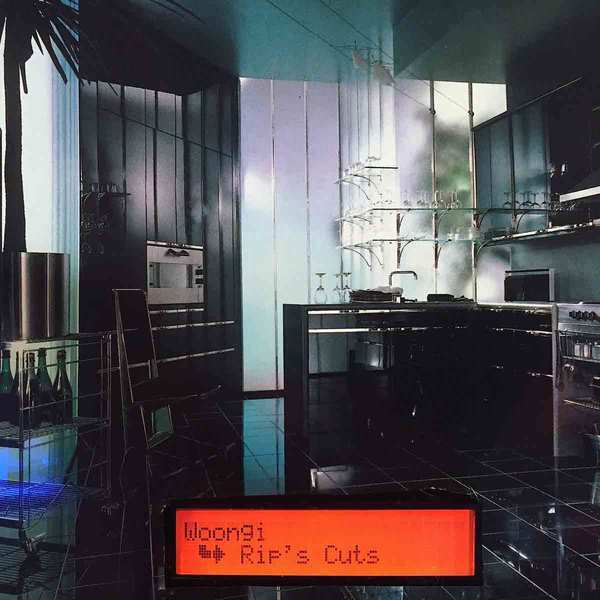 This experience set the tone for Woongi’s defining second LP, Rip’s Cuts (Sooper Records, 2019) an album they wrote, engineered, and mixed by themselves. “It kind of felt like a record was sketched out before I knew it,” Wurtin states. Freshly inspired by a new aesthetic of vastness and serenity, Woongi embraced a more carefree writing process. In doing so, Rip’s Cut’s achieves a cohesiveness of vision that their previous albums did not. It is more majestic and beautiful in its tone. It experiments more widely with colorful synth textures and is denser and more collage-like in its presentation. Wurtin’s velvety croon emerges with grace and confidence. “It was also inspired by looking up CGI reels from the 80s and 90s, and the whole vaporwave scene I hate to admit,” he says. In keeping with the subtle, quasi-intentional absurdity that is Woongi, Wurtin also timed the original demos for Rip’s Cuts to an obscure 90s movie called The Skateboard Kid. What started as an intrapersonal writing novelty resulted in an album that now inexplicably pairs with a little known 90s B-movie that Wurtin used to watch growing up.